Typica Coffees are a sub-variety of the Arabica family of coffees – a more specific division of what are generally considered high quality coffee beans. They’re fairly tall for coffee trees, and produce less coffee than other varietals, which means that the yield tends to be lower and more difficult. 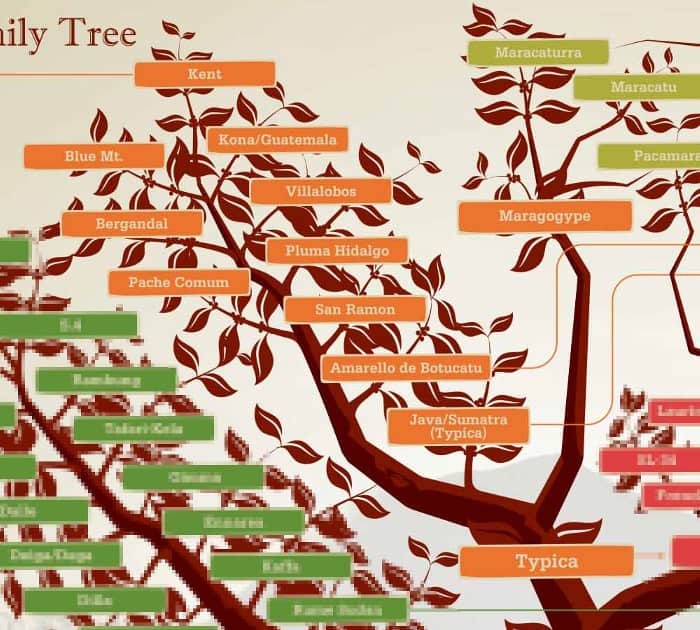 So why would a farmer choose the Typica varietal over others? Quality. Typica coffees are known for a certain sweetness, and cup very well – some of the best coffees in the world are from the Typica family. 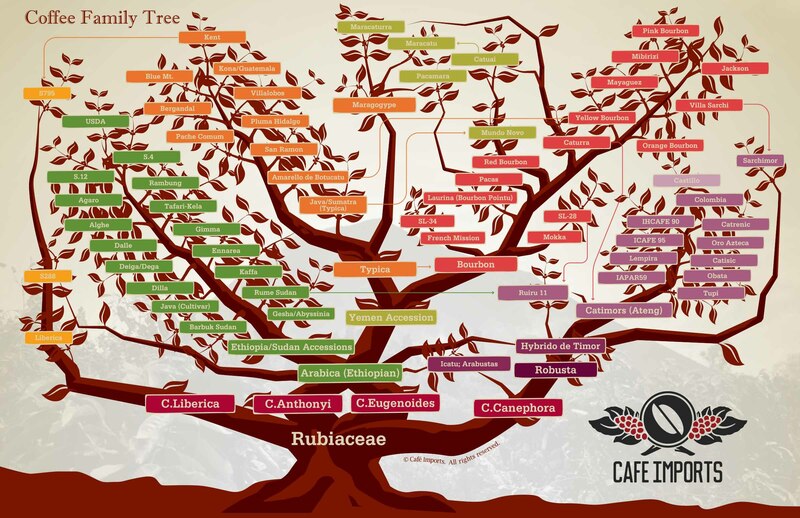 While learning about the different coffee varietals can be fun and interesting, we recommend choosing your coffee based on personal taste preferences rather than arbitrary genetic distinctions. Looking at the list, it’s not difficult to see that the Typica family is made of some of the best coffees in the world, including Blue Mountain, Sumatra and Kona. Typica coffee trees are fairly tall for coffee trees, have conical branches that grow at roughly a 60 degree slant from their parent branch. Their leafs usually have a dark bronze tip. Visually, Typica coffee beans are usually more elongated than Bourbon.